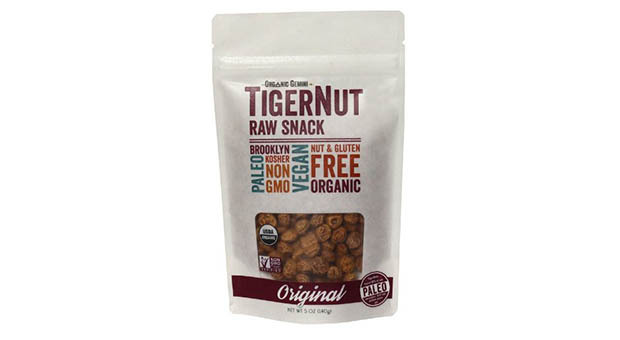 These Paleo-friendly packaged snacks will satiate you when you just can't prep something from scratch. If you're eating Paleo, then you've taken a pass on most packaged snacks, which tend to be full of Paleo no-nos like sugar and artificial ingredients. (And if you're still not clear on what it means to eat Paleo, here's everything you need to know about this diet.) So what's a primal person supposed to gnaw on between meals–especially when they can't be home to prep something from scratch? Read on for delicious bites to keep the munchies at bay. Remember those scary gas-station mystery-meat sticks? (Or is it just us?) Here's a decidedly grown-up, much cleaner version made with pastured, grass-fed beef flavored with honey, lemon peel, salt and spices. 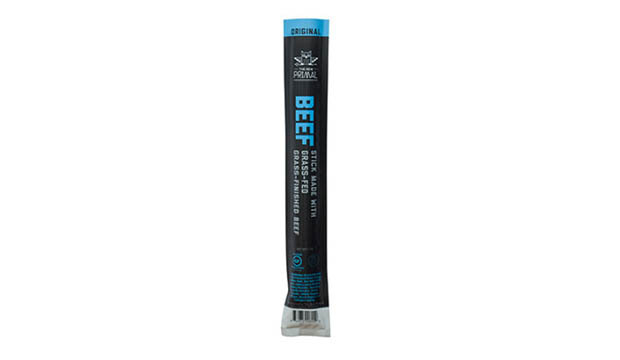 It has all the primal satisfaction of chewing on a well-seasoned beefy stick, and the convenience of easy-to-toss-in-a-purse packaging, but without the mile-long ingredient list. Plus, it has a respectable 90 calories, 6g fat and 200mg sodium (and 6g protein to keep you going until your next mealtime). If you like jerky but are avoiding excess salt, you've come to the right place. 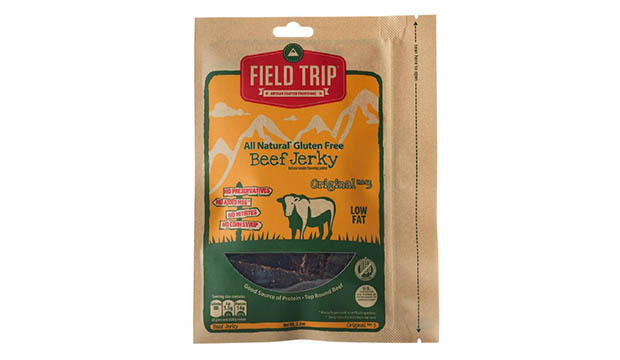 Field Trip relies on a mix of spices and not a ton of sodium, and doesn't over-season its jerky. So the result is a tasty, really enjoyable, satisfyingly beefy jerky that won't leave you gasping for your water bottle. (Note: They have turkey jerky, too, if you prefer.) Also, notably, they use wheat-free soy sauce, so it's gluten free. It's also nitrite- and preservative-free. Jerky is a Paleo mainstay, but it can sometimes feel a bit one-note chewing away on dried meat after a while. 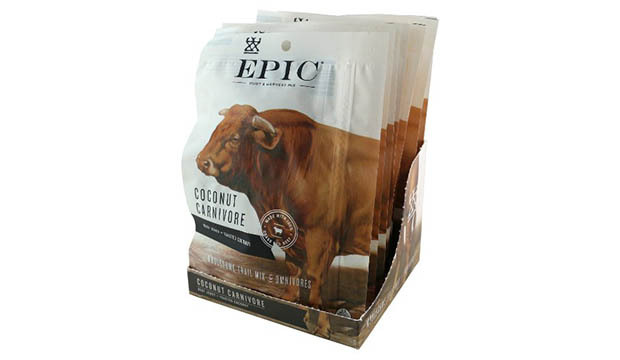 Enter Epic with its trail mixes, innovative pouches that have a bit of jerky on one side, and a bit of trail mix on the other, so it's more of a party for your taste buds. Our fave: The Coconut Carnivore (264 calories, 18g fat and 380mg sodium), which has grass-fed beef jerky and toasted organic coconut. It doesn't get much more Paleo than that. 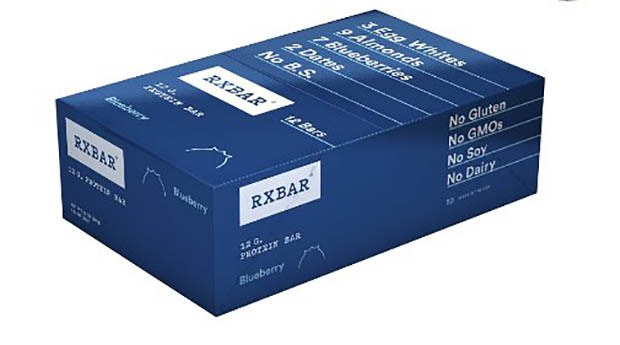 You gotta love a bar that has so few ingredients, and such straightforward ones, that it lists them on the front of the package... in large type. RX Bars do just that. Though they come in several flavors (and obviously the Peanut Butter wouldn't qualify as Paleo), our fave is the Blueberry. Made with egg whites, almonds, cashews, dates and, of course, blueberries, it really brings the berry flavor. Plus it's soft and chewy, not chalky like some protein bars (though it packs 12g, for 210 calories, 9g fat and 11gmg sodium). 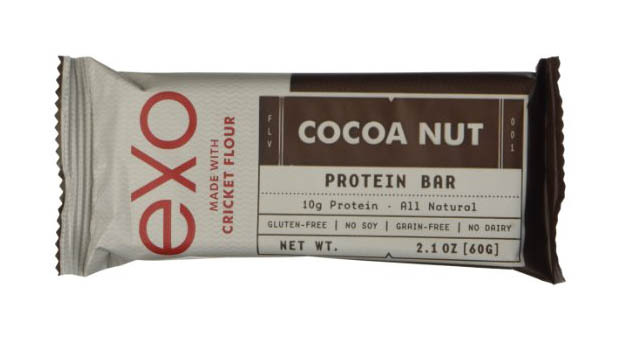 So, OK, yeah, these are the bars made with cricket flour. As in, flour made from ground-up crickets. But they also have almonds, dates, prunes, coconut and cocoa, so you get a satisfying, chocolate-y bar (with 260 calories, 15g fat and 45mg sodium, plus 10g protein and 8g fiber). Our brave taster noted, "If you can handle the idea that there's ground up crickets in there, you will be fine. Some people are just grossed out by the thought, but you really can't tell when you eat it. Also: Is it really more gross to eat ground up crickets than it is to eat say, a hot dog?" Fair enough. Bars can be a mixed bag texture-wise, with some in the soft-and-smooth category, others leaning toward hard and chalky. If you love a grainy granola bar, you'll really enjoy these. Though they're grain-free, they have a soft, grainy texture, somewhere between a soft granola bar and an oatmeal cookie. Of all the interesting flavors (Sage! Chili Pep! ), we enjoyed Coffee the most. 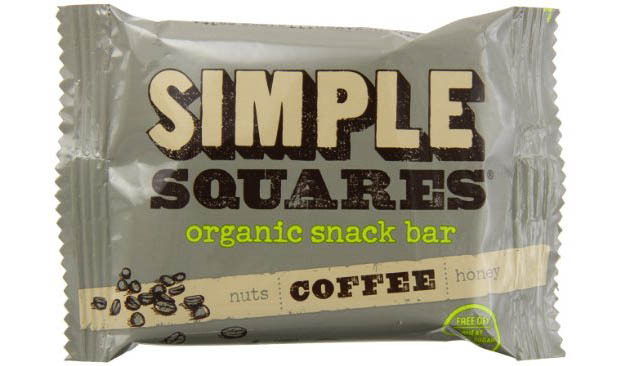 All of the bars have a nutty, coconutty, honey flavor, and the addition of ground organic coffee beans really wakes these up (sorry). If you're a primal eater, no doubt you've already discovered the wonders of coconut butter. 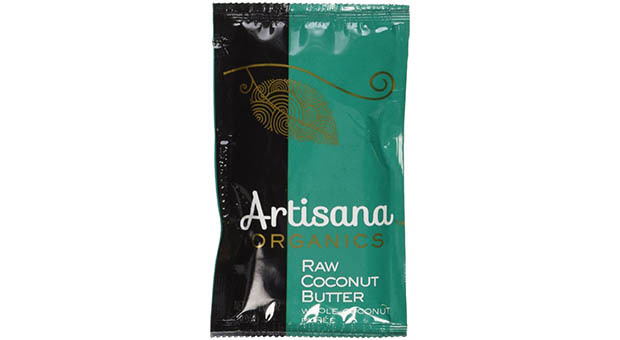 This creamy, rich spread, made from pureed coconut meat, makes luscious Paleo desserts, bulks up smoothies, turns plain sliced bananas or apples into tropical treats. It isn't practical to lug around a whole jar of the stuff, but luckily Artisana makes these convenient squeeze packs, perfect for school bags, purses, briefcases, carry-on bags, etc. With 197 calories, 20g fat and only 9mg sodium, you can eat one with abandon. Admit it: Even if you're the most dedicated primal eater ever, you miss pizza. And chips. (Come on, of course you do.) Good news: These wholesome, flavorful bites go a long way toward satisfying not only your need for crunch, but also that hankering for pizza. 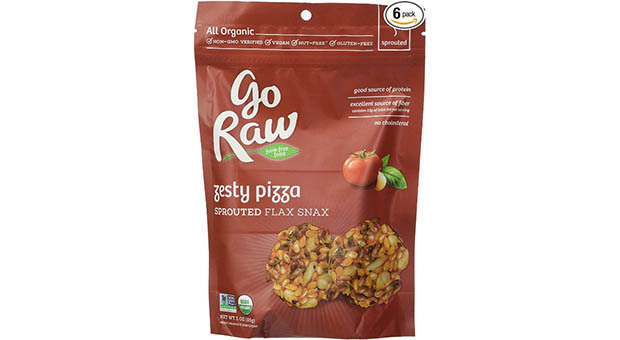 Since they're made from sprouted flax, sunflower and sesame seeds as well as tomato and spices, you can chomp away to your heart's content (an ounce has 180 calories, 13g fat and 290mg sodium–plus, find another chip that has 8 percent of your day's iron and 5g each of protein and fiber). These odd, chewy little bites may be new to the scene but certainly not to humanity; apparently they've been cultivated for the last 4,000 years. They are, in fact, not nuts, but small tubers, eaten raw. OK, that doesn't sound delicious, and they're definitely an acquired taste–but once you get into these little things, they're kind of addictive; very chewy, slightly sweet, kind of chestnut-like. An ounce has just 120 calories, 7g fat and no sodium, but also packs in 10g fiber and 10 percent of your day's iron. All that chewing means you don't wolf them down and reach for something else, too.